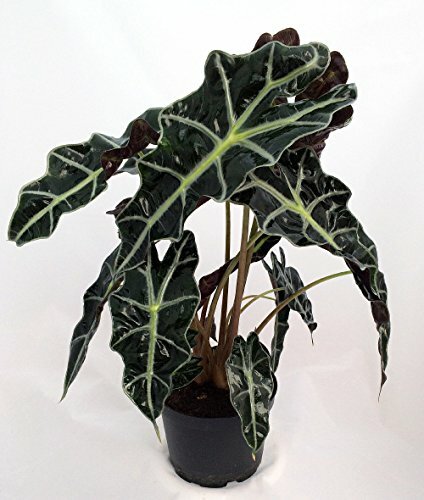 The African Black Shield Plant (Alocasia Polly) is a beautiful member of the Elephant Ear family. It makes a wonderful addition to any tropical landscape. They may be container grown indoors or out, provided they have bright, but not direct sunlight. A. amazonica will grow to 18 - 22 inches tall and produce new shoots periodically, creating a dense cluster in no time. A 20-20-20 soluble is the best fertilizer for them, once per month. 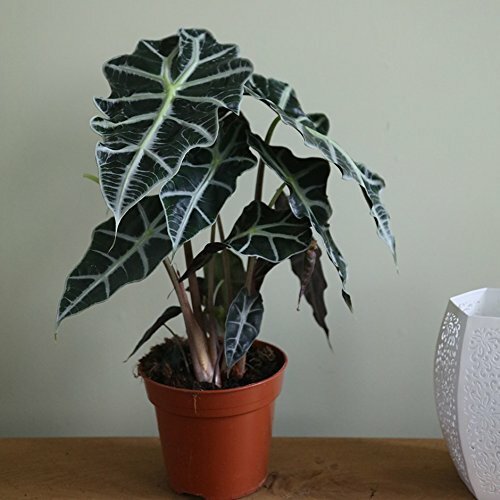 As with all elephant ears, they do not take well to cold weather and may die back to the soil line, but will come right back as soon as the temperature warms. If ground freezing in your area is common, we suggest keeping A. amazonica in containers, in-ground and removing them when an overnight freeze is imminent. They do not like to dry out or be too wet, keep evenly moist, not wet or dry! 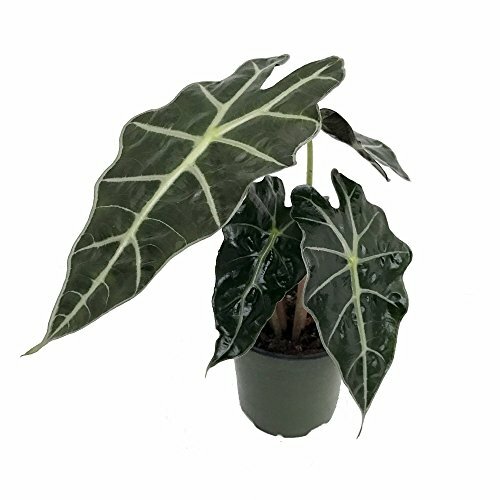 Alocasia amazonica will live indefinitely in containers if proper care is given and is an excellent indoor plant!